You''ll feel like you have nothing on in this lightweight T-shirt. Soft and comfortable for anytime of the year - cool or warm weather. Naturally thermal regulating and soft against the skin. Made from our comfy jersey fabric. 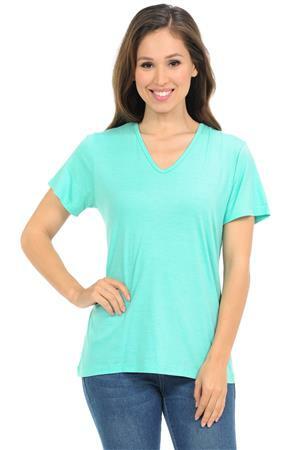 This T-shirt is a pretty look that provides a restful any sports for golfing, tennis.